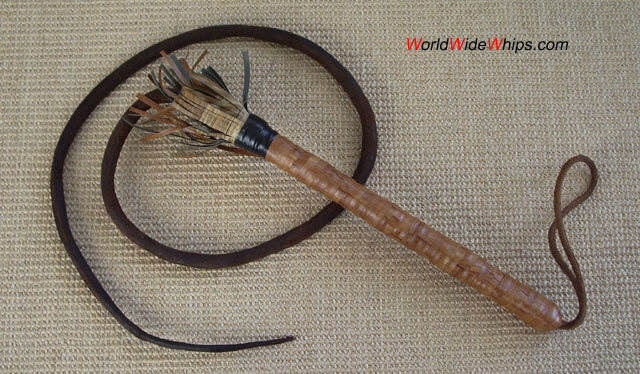 this 5.5 ft driving whip from Assuan/Egypt is a working whip, still in use today. It is made of a single massive strip of leather. It nearly has the thickness of a finger. The heavy, 1 ft long handle is wrapped with artificial leather, the fringe is made of the same material.